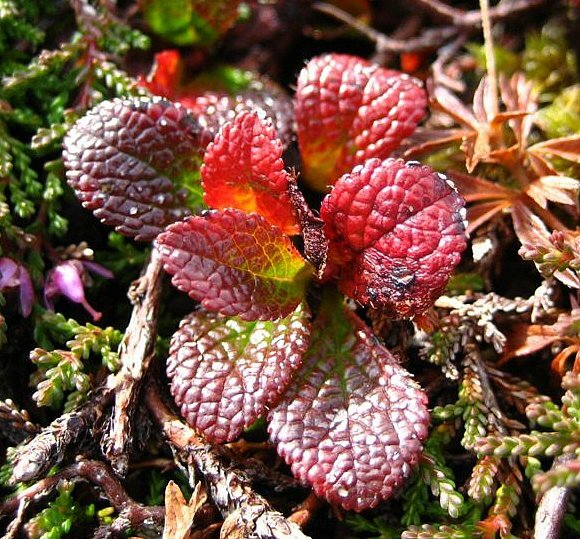 Growing on high windswept and rugged moorland. 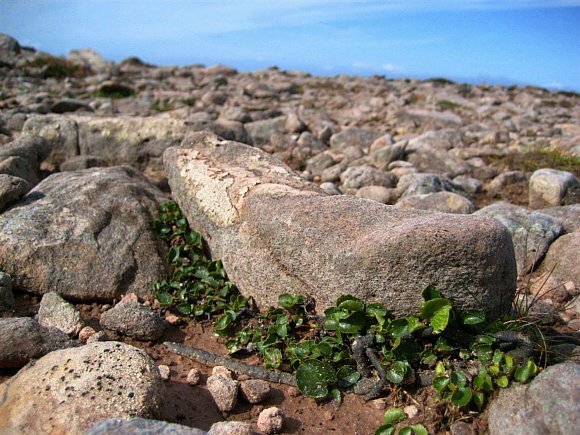 Seemingly 'hides' in the nook of small stones, affording little protection. Leaves are deciduous, robust & glossy leathery and net-veined. Main stem in this example is woody and thick, indicating great longevity. 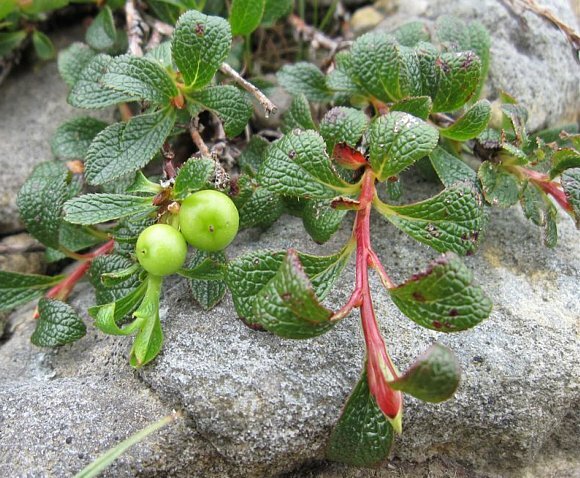 The leaves are curled backwards, the stems reddened and the berries un-ripe. Berries sparse and red at first. Leaves dark-green and deeply veined. 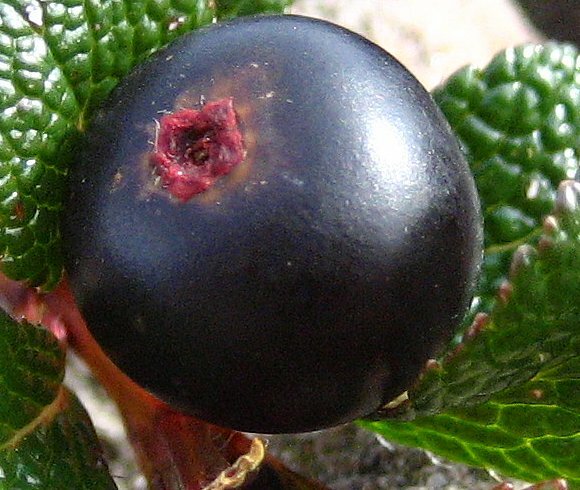 Berry blackens when ripe and has red dimpled crater. The red dimpled crater of the black berries. Leaves turn red in autumn before being shed. 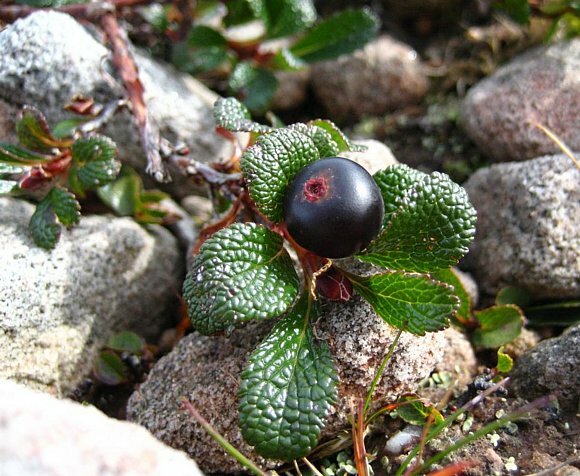 Related to : Bearberry, but Bearberry has a red berry whereas Alpine Bearberry has a black berry. 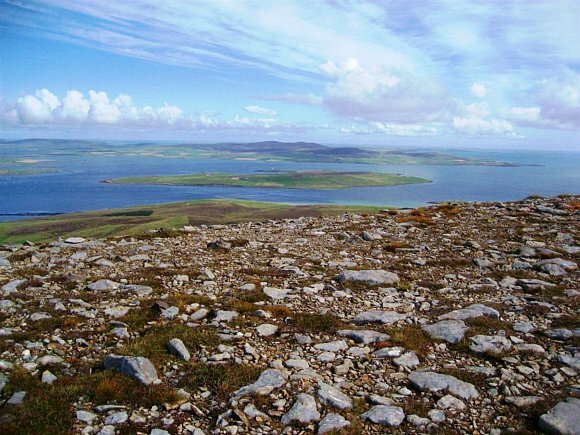 An undershrub confined mostly to the higher windswept sparsely-vegetated stony moorland North and North-West of Scotland. Not found in England, Wales or Ireland. The badge of the Ross Clan. 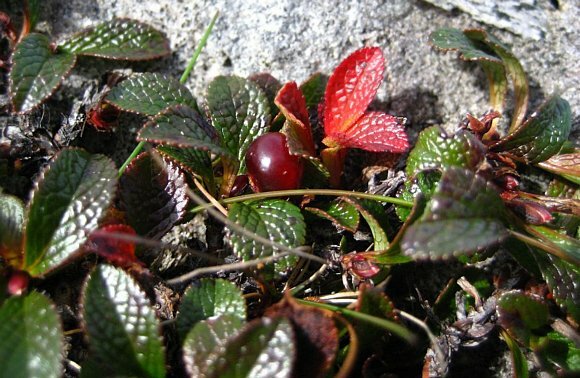 The berries are edible when ripe.